For creating a database named "javatpoint". Create a js file named javatpoint.js having the following data in DBexample folder. You can see the database is created. To verify if the database is created or not, use the SHOW DATABASES command. 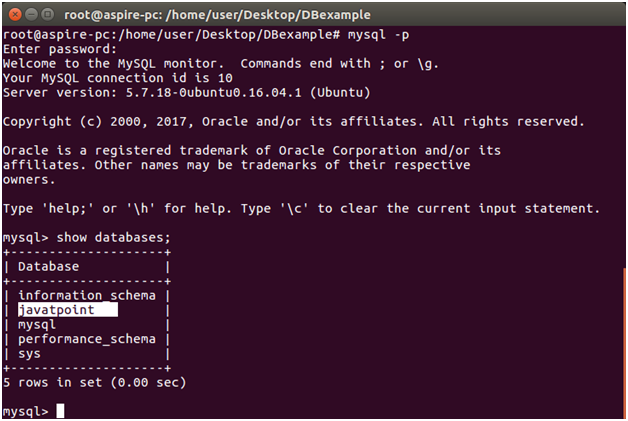 Before this, go to initial path by using mysql-p command.